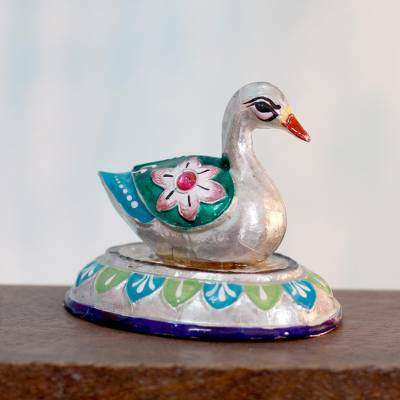 Meenakari Enamel on Sterling Silver Figurine, "Varanasi Duck"
Nesting on a lotus throne, this duck with florid wings is admirable as a meenakari figurine from Rajat. 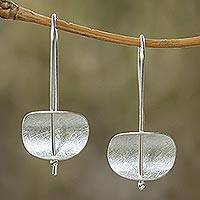 The elegant bird is sculpted with sheets of sterling silver featuring patterns in low relief. The handsome peacock is decorated in light pink, green, and blue according to the meenakari tradition of Varanasi.